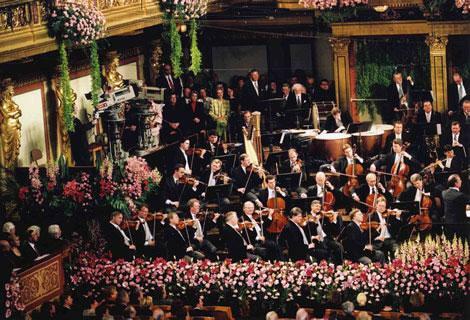 The Vienna Philharmonic presents its ever popular annual New Year's Day concert from the Golden Hall of the Musikverein in Vienna. You'll hear your favorite waltzes, polkas and more -- a festive way to start off the New Year. Presented by NPR Music and WGBH, Boston. Every winter for more than a quarter-century, saxophonist Paul Winter has celebrated the longest night of the year with a concert, the Winter Solstice Celebration. 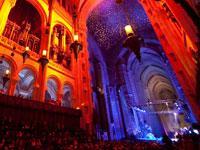 NPR has presented the event for 21 years running, held at the Cathedral of St. John the Divine in upper Manhattan. A one-hour Kwanzaa celebration in story and song. Author and photographer Harold Lee Miller has put together a collection of over 100, full page photos taken at county fairs and the Indiana state fair. This book is published by the Indiana Historical Society Press and has a forward written by Indiana essayist Phillip Gulley. Whisk together all ingredients, cover, and refrigerate for at least eight hours before using. Smoke or grill chicken halves or pieces. When chicken is ready, pour half the sauce in a shallow dish and place the chicken in the dish, turning to coat. On a platter, arrange the mozzarella slices, peach slices, and basil, alternating them and overlapping them a bit. Drizzle with the oil and vinegar, and add salt and pepper to taste. This will serve about four.